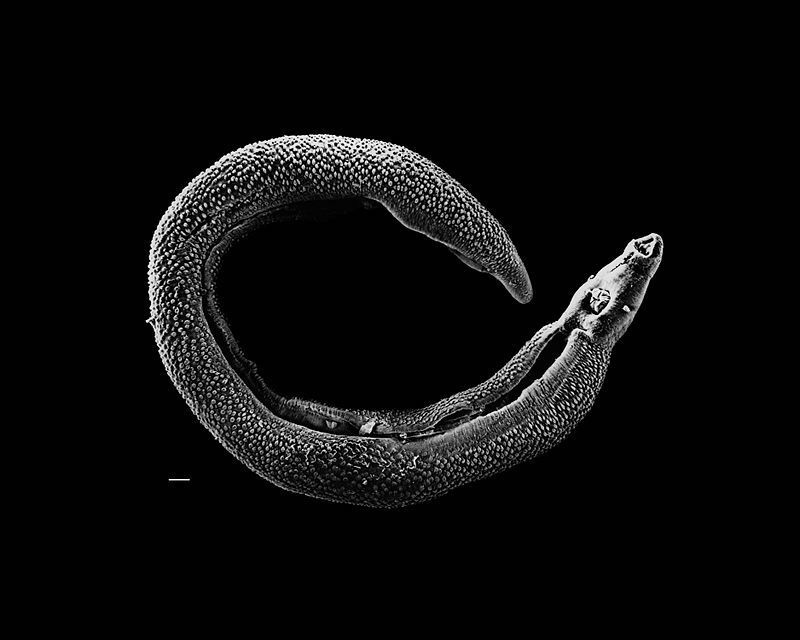 Katayama Syndrome is an early clinical manifestation of schistosomiasis that occurs several weeks post-infection with Schistosoma spp (trematode) worms. Schistosomiasis is a disease caused by an infection by parasitic flatworms called schistosomes. The disease is spread by contact with fresh water contaminated with the parasites. These parasites are released from infected freshwater snails. The disease is especially common among children in developing countries as they are more likely to play in contaminated water. Other high risk groups include farmers, fishermen, and people using unclean water during daily living. The urinary tract or the intestines may be infected. Symptoms of schistosomiasis include abdominal pain, diarrhea, bloody stool, or blood in the urine. Those who have been infected for a long time may experience liver damage, kidney failure, infertility, or bladder cancer. In children, it may cause poor growth and learning difficulty. The problem is that there is a temporal delay before the actual symptoms of schistosomiasis appear. The patient exibits some non-specific symptoms and it is the form of schistosomiasis most likely to be misdiagnosed by travel medicine physicians and infectious disease specialists in non-endemic countries. Katayama syndrome appears between 14–84 days after non-immune individuals are exposed to first schistosome infection or heavy reinfection. Disease onset appears to be related to migrating schistosomula and egg deposition with individuals typically presenting with nocturnal fever, cough, myalgia, headache, and abdominal tenderness. Diffuse pulmonary infiltrates are found radiologically, and almost all cases have eosinophilia and a history of water contact 14–84 days before presentation of clinical symptoms; patients respond well to regimens of praziquantel with and without steroids. Artemisinin treatment given early after exposure may decrease the risk of the syndrome.